If there are individuals who deserve our utmost gratitude and recognition, they’re the men and women who courageously risked their lives and made enormous sacrifices to defend our freedom and protect our nation’s security. After everything they did for us, a simple act of appreciation can mean a lot to them. Volunteer to do household chores for them. Take time to stop by at a veteran’s house in your neighborhood and offer to perform chores while they relax and take a day off. Many veterans, especially those who are handicapped or injured, need a hand in fixing something or preparing their meal, and yours might just be what they’re looking for. 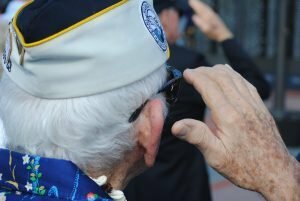 Visit handicapped veterans at a VA facility near you. Drive your way to a nearby VA facility and get acquainted with the veterans, particularly those who don’t appear to have visitors. Contact the staff first to inform them of your intention to visit. That way, they can also make arrangements and sort everything out before you arrive. While this might sound really simple, expressing your gratitude in two words can already mean the world for many of our veterans. Hearing someone expressing gratefulness for their service can mean a lot to them. Another way to show your support to our former service members is by offering to drive them to the VA office or to health centers. Spend a day with a vet. While many veterans are lucky enough to be surrounded by family and friends, there are others who live lonely lives by themselves. If you know vets in your community who are living in isolation, visit them or take them out for lunch and get to know them better. You’ll certainly see their faces light up when you listen to them intently as they narrate their stories. Help stop foreclosure and homelessness among veterans. One of the major problems many of our vets face is homelessness. Whether it’s due to foreclosure or eviction, these unfortunate individuals are left without a choice but to live on the streets. You can get involved by teaming up with Homes for Our Troops or the National Coalition for Homeless Veterans. You can also donate money to veteran organizations that are working to prevent the home eviction of destitute veterans and their families. Finding employment can be challenging for our veterans, especially if they lack the necessary skills required for the position. Offer to teach them basic skills that can help them land a job. These can be clerical skills, medical training, basic accounting or pretty much anything that can be useful in workplaces. Volunteer at a veteran organization. If doing voluntary work is more of your thing, you’ll be happy to learn that there are plenty of veteran organizations in need of volunteers. While you won’t be working with veterans, you can still make a difference by helping out the organizations that support them. Donate to a military nonprofit. Lastly, you can give back to our veterans by donating to a local charity that caters to their needs. For instance, we at Veteran Car Donations take vehicle donations in behalf of our military and veteran nonprofit organization partners. These nonprofits use the funding to support thousands of struggling veterans across the country. By donating to us, you bring hope of a better future to these men and women. Want to Make a Car Donation with Us Today? Apart from the fact that you get to help our struggling veterans with your vehicle donation, you also get the opportunity to significantly reduce your tax bill using the 100% tax-deductible sales receipt that we’ll send you upon the sale of your donated vehicle. What are you waiting for? Call us at 877-594-5822 and show your support for our veterans with your car donation!